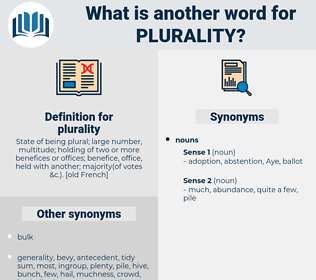 What is another word for plurality? 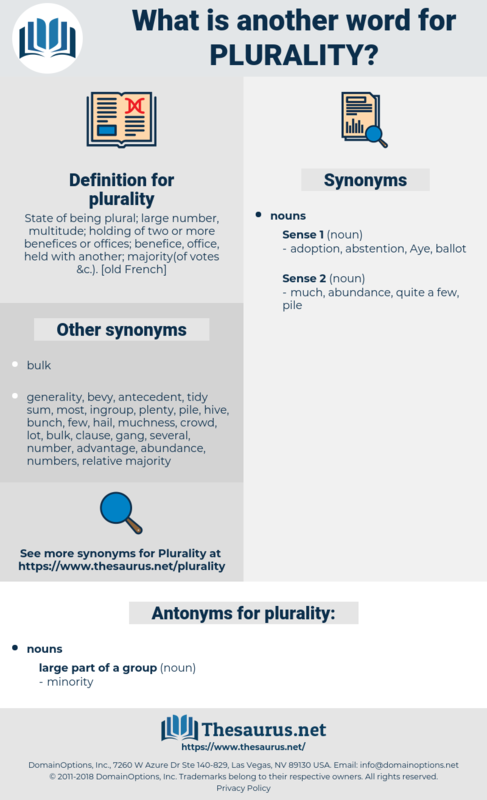 pluralism, multiplicity, diversity, pluralist, pluralistic, variety, plural, multitude, biodiversity. The men are prohibited from having a plurality of wives at one time, but are allowed to have just as many as they desire, simply getting rid of one and then getting another. A plurality of wives is absolutely forbidden.